The girls' team wins its first Nordic title in 31 years, part of a busy day of state championship events. 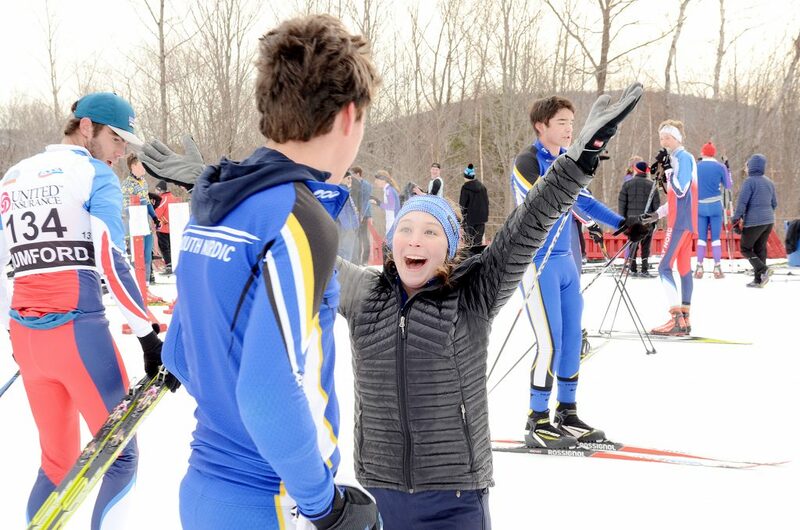 A new format for high school skiing state championships led Friday to Fryeburg Academy’s first girls’ Nordic title since 1987. Fryeburg edged Deering 38-39 to win the Class A girls’ Nordic title at Black Mountain in Rumford. 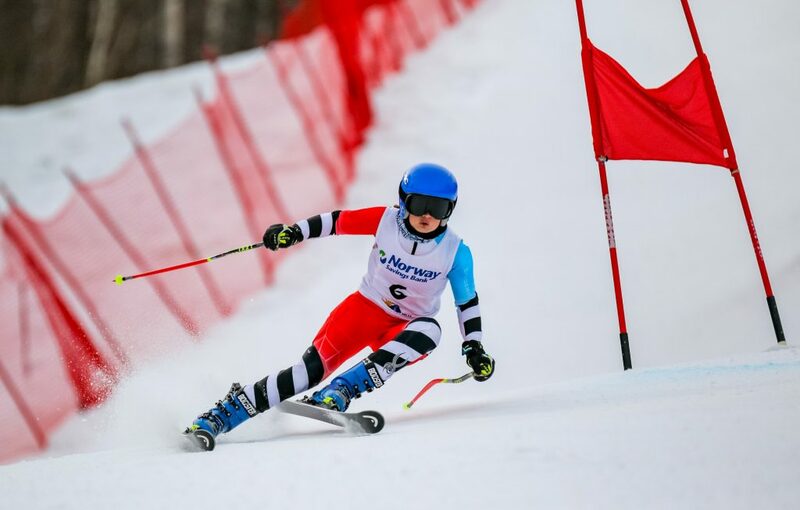 Instead of adding results from Thursday’s classical and Friday’s freestyle races, skiers competed in a freestyle pursuit race Friday, leaving the starting line according to how far back from the winner they finished in classical. 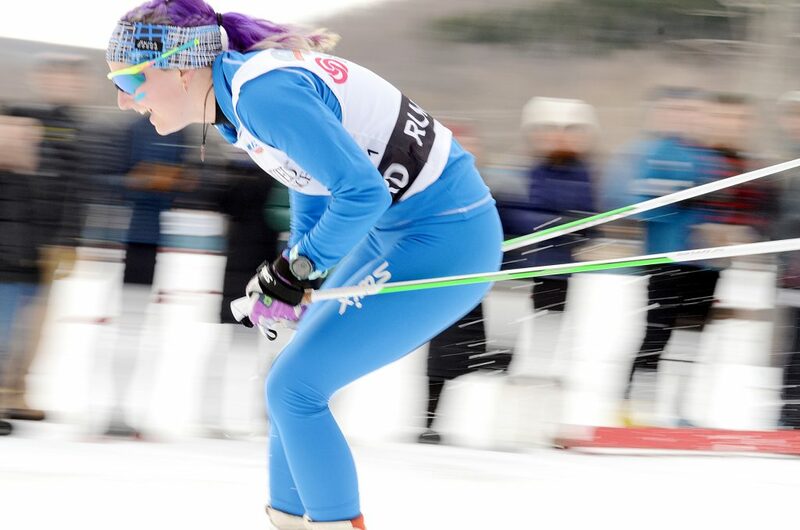 The single point separating Fryeburg and Deering could be traced to Fryeburg’s fourth skier, freshman Sasha Maguire, who lunged her ski forward to nip a Leavitt skier by six-tenths of a second and place 22nd in pursuit. 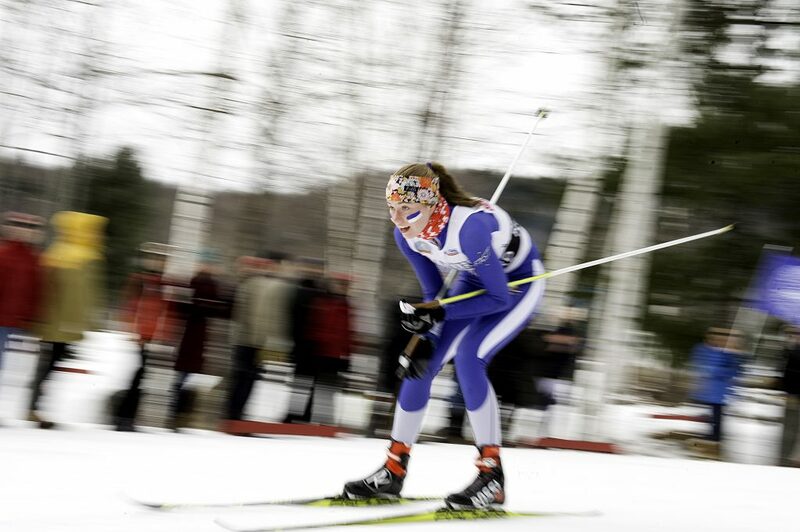 That result, coupled with Emily Carty (second), Irina Norkin (sixth) and Zoe Maguire (eighth), was enough to offset Deering packing in four skiers among the top 14. For the Rams, Grace Tumavicus was fifth, Sierre Aponte-Clark seventh, Ella Raymond 13th and Morgan Aponte-Clark 14th. Mt. Blue, the defending Class A champion, placed third with 51 points, followed by Leavitt (64), Mt. Ararat (84), Falmouth (93) and Camden Hills (127). Wednesday’s unusually warm temperatures prompted organizers to shift the Nordic races to Thursday afternoon and Friday morning. The course also required modification to two loops of 2.5 kilometers because of snow loss on the trails of Black Mountain. Mt. Blue won the Class A boys’ title with 40 points to 57 for runner-up Falmouth. Leavitt was third at 67 followed by Portland (76), Fryeburg (93), Oxford Hills (111), Greely (112), Edward Little (142), Mt. Ararat (162) and Camden Hills (194). Nordic championships in Classes B and C also ended Friday in Fort Kent. The Yarmouth girls sent longtime coach Bob Morse into retirement with a Class B title, accumulating 31 points to 39 for Maine Coast Waldorf of Freeport. Freeport High edged Maranacook for third 47-48, followed by Caribou (88) in fifth. The Orono girls won the Class C title with 38 points. In a race for second, Waynflete (70) edged Madawaska (71), Fort Kent (72), Maine School of Science and Mathematics (79) and Ashland (81). For boys, Maranacook defeated Maine Coast Waldorf 21-36 in Class B. Freeport was third at 42 followed by Caribou (64), Mt. Abram (92) and Yarmouth (98). Fort Kent ran away with the Class C title with 29 points to runner-up Madawaska’s 68. Waynflete was third at 69 followed by Telstar (76), MSSM (86), Dirigo (89) and Orono (90). Individual champions were crowned in all classes for freestyle and pursuit, with medals awarded to the top three finishers of each event and ribbons to the rest of the top 10. Carty of Fryeburg won Friday’s Class A freestyle but classical winner Jenny Wilbraham of Morse held on for the pursuit title. For Class A boys, Liam Niles of Portland moved past classical champ Roy Varney of Leavitt to take pursuit. Ethan Livingood of Falmouth won freestyle with Peter Jordan of Deering a close second. In Class B, Sophia Laukli of Yarmouth added freestyle and pursuit titles to her classical championship, putting nearly two minutes on Friday’s pursuit field of 43. Olivia Skillings of Maine Coast Waldorf again was runner-up in freestyle and pursuit. Nick Neveu of Maine Coast Waldorf won freestyle and pursuit titles among Class B boys, the latter by two seconds over classical champion Maxwell Bartley of Presque Isle. Among Class C girls, classical champ Isabelle Jandreau cruised to victory in freestyle and pursuit. 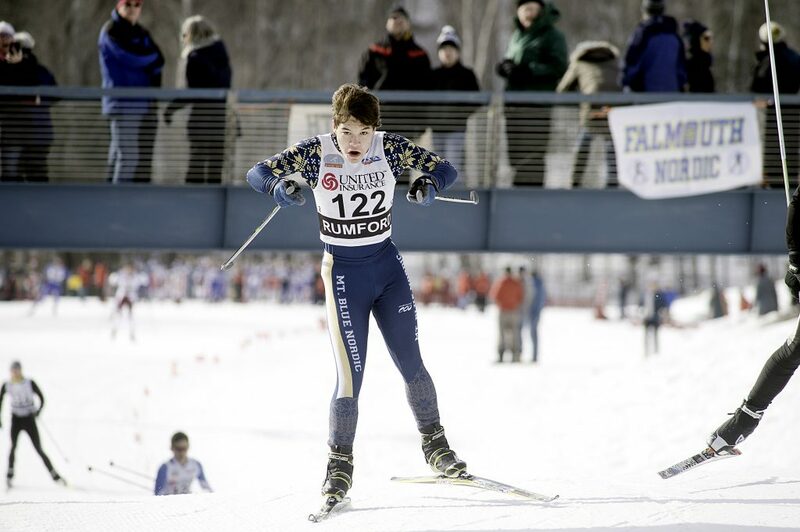 Sam Holt of Orono won the C boys’ pursuit by two seconds over classical champ Gaelan Boyle-Wight of Telstar. Nike Naranja of Fort Kent was the freestyle winner. He placed third in classical. 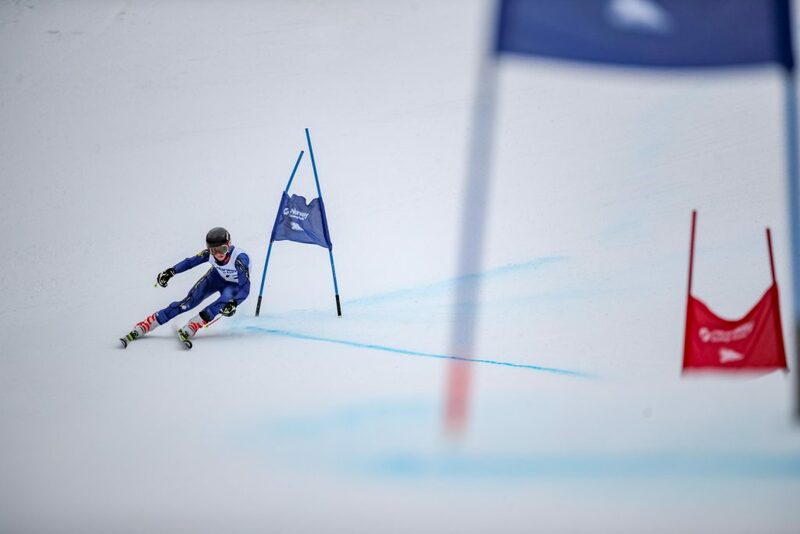 Friday also marked the opening of the Class A Alpine state meet, with the giant slalom held at Mt. Abram in Greenwood. 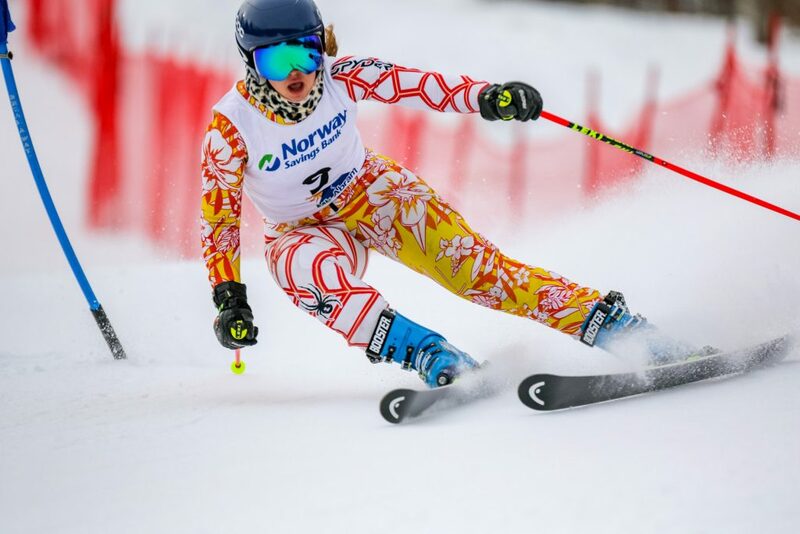 The Alpine meet concludes Saturday with the slalom at Black Mountain. 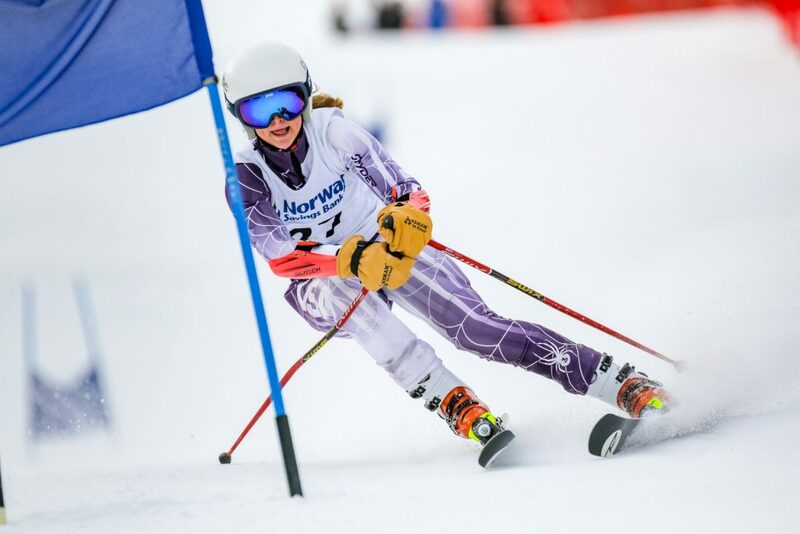 Annesley Black of Cheverus won the Class A giant slalom by less than a second over Brooke Juneau of Fryeburg in a two-run combined time of 1 minute, 46.94 seconds. Marielle Pelletier of Mt. Blue was third and Jordan Cummings of Edward Little fourth. Greta Van Curan, who swam Monday for runner-up Greely in the Class B swimming and diving state championships, placed 18th in a field of 83. 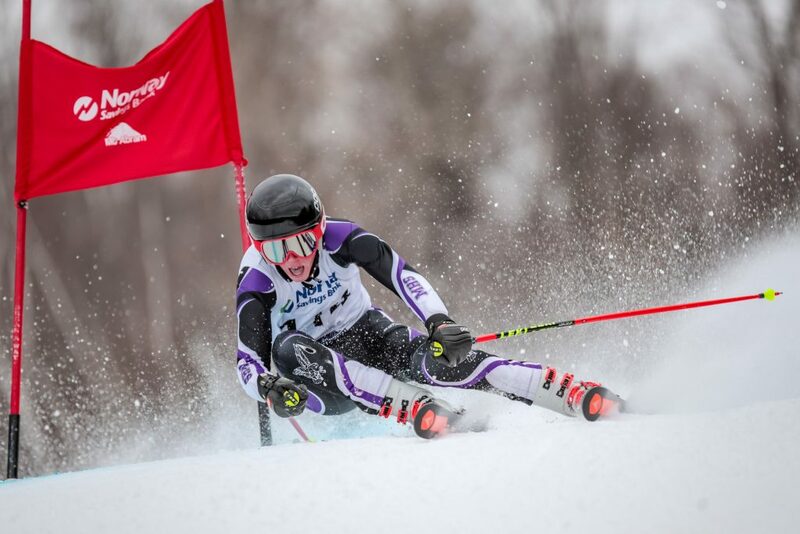 For the boys, Connor Jackson of Edward Little edged Sean Maguire of Marshwood in giant slalom by nine-hundredths of a second in 1:37.47. A.J. Noyes of Falmouth was third and Ben Tyler of Hampden Academy fourth. Teamwise in Class A Alpine, the Fryeburg girls hold a 64-66 lead over Edward Little with Mt. Blue (71) third, Falmouth (100) fourth and Marshwood (108) fifth. Falmouth has a commanding lead in the boys’ competition. Runner-up A.J. Noyes, Nick Shapiro (fifth), Ben Adey (sixth) and Ben Keller (eighth) all placed among the top 10 in giant slalom for a score of 22 points. Edward Little is second at 61 followed by Oxford Hills (88), Mt. Blue (97) and Marshwood (101).